Cars Land is beautiful and spectacular, of course, and I can never get over how convincingly it transports guests from Southern California suburbia to the splendor of the open rugged West. 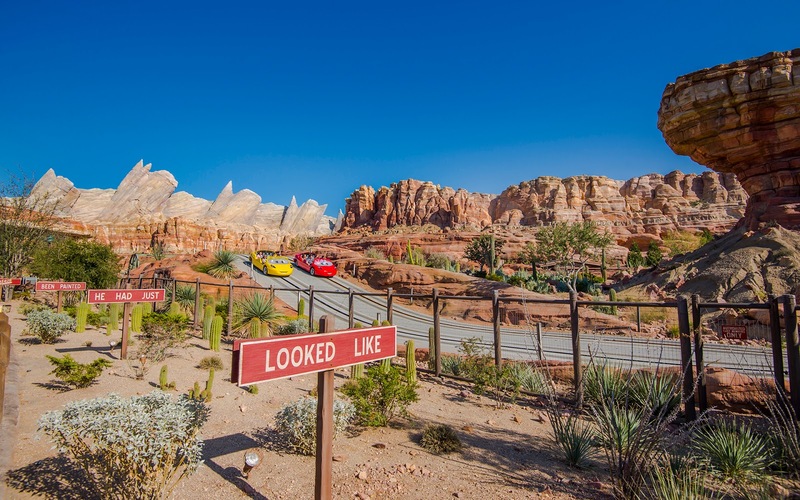 The beautiful desert landscape complements the dramatic geology nicely, and the zoom of Radiator Springs Racers contributes to the natural air of excitement. On a beautiful blue sky day, the views can't be beat! Radiator Springs Racers cruising on a beautiful day.